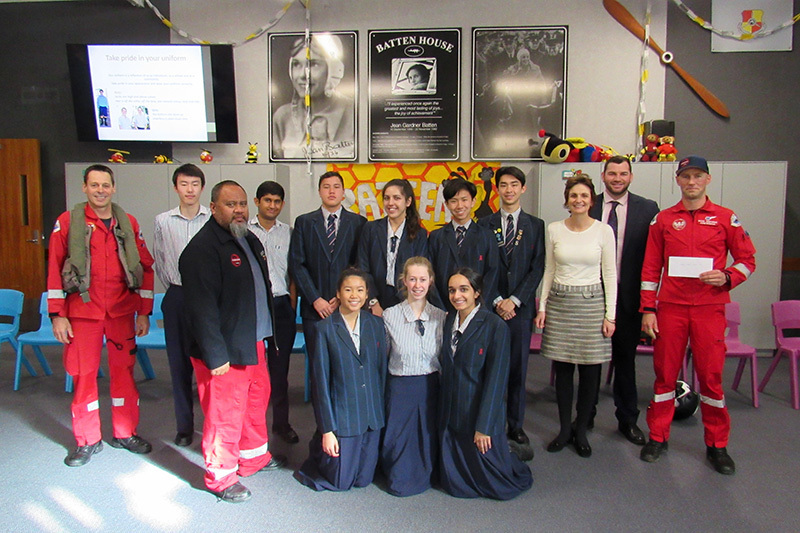 On 4 September Batten House welcomed three representatives of the Westpac Auckland Rescue Helicopter Trust to their House assembly. The students performed the school haka on arrival which Marcel Driessen (Paramedic), Vasya Makhinko (Co-Pilot) and Ati Wynyard (Crewman) found very impressive. They were then presented with $10,000, which represented the fundraising efforts of the House in 2018. Marcel, Vasya and Ati spoke about what it was like to be a part of the Trust and working as a team. A huge thank to everyone who donated and helped raise money for this deserving charity. It is very much appreciated. Presentation to Westpac Auckland Helicopter Trust.